At thirteen years of age, Patience is full of hope that one day she will have a good life. She does her best in school and has maintained top position in her class 8 through this year. She knows she will do very well on her final examinations this November, which will give her the chance to join a good secondary school. Being the firstborn of her three siblings, Patience understands how much it will mean to her siblings and parents to see her join secondary school. Her parents work as day laborers on other people’s farms; during the dry periods, it gets harder for them to raise enough money to feed the family. When relief aid is given to the village, they are always in the queue to receive food. She is hopeful that she will get a sponsorship from Moja Tu, as several of her friends at school have. Her teachers have constantly encouraged to keep her grades up to attract a potential sponsor, and Patience has made sure to do so; she earned an impressive 371/500 marks on her most recent examination at school. Patience is very helpful around her home. She is in charge of making sure the home is clean and cooking for the family. She also delegates chores to her younger siblings and helps them with their schoolwork. At school, she earned a reward for being the cleanest girl in class 8. Her books and her desk are always neatly kept. She is a very determined young girl who shows a sense of maturity beyond her years. She hopes to work in a big city one day and make money to help her younger siblings and parents live a good life. To achieve these dreams, Patience needs support with secondary school fees, as well as help with school supplies and personal utilities. She needs somebody to encourage her and believe in her. 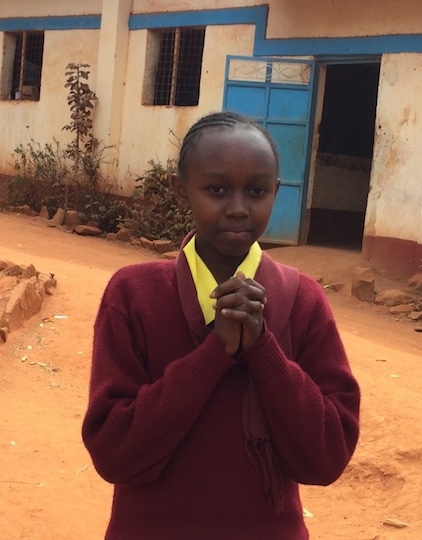 Sponsor this beautiful, determined young girl, and help her build a great future.